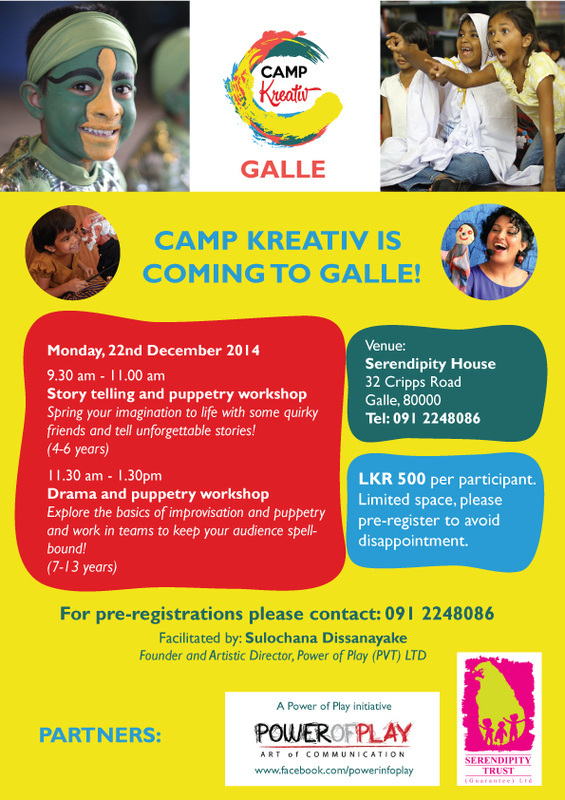 Camp Kreativ is coming to Galle and will be the grand finale of our December School's Out Holiday Workshop Program! The Serendipity Trust is proud to be a partner and host venue of this special event. Make sure you register for one of the two exciting theatre skills development workshops on offer on Monday 22nd December. These workshops will be facilitated by Sulochana Dissanayake of Power of Play (Pvt) Ltd.
Give wings to your imagination and play with some quirky friends! This workshop aims to share the basics of story telling and puppetry to empower young story tellers to tell unforgettable stories! Explore the basics of improvisation, acting and puppetry and create memorable performances with a team of talented players. Participants will develop their creative analytical skills to capture audiences via a myriad of hands-on dramatic exercises. Camp Kreativ is 500/- per child per session. Playgroups are 200/- per child per session. 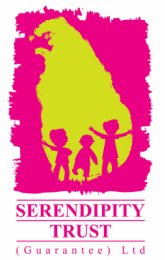 The Serendipity Trust (Guarantee) Ltd donates over 30% of School’s Out tickets to children in need.